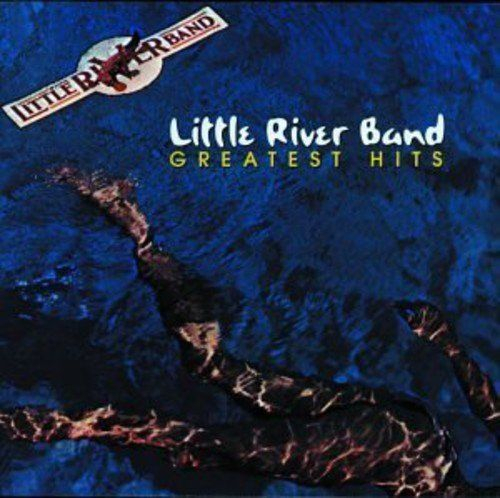 Little River Band Greatest Hits??? 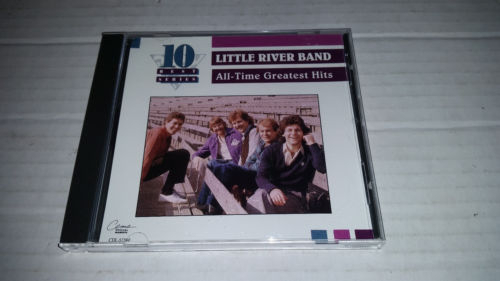 I want to buy Little River Band's Greatest on CD. The Lonesome Loser should be my ringtone in life. After checking, there are various versions. 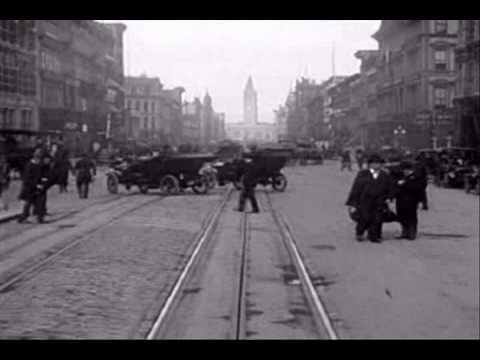 Does anyone have a copy and can tell me if their version is well recorded. After owning the worst version of The Cars Greatest Hits, which is absolutely not worthy of listening to, I thought I'd ask the members which one is the best sounding CD, so I don't end up with another ****. I've been getting back into buying CDs to rip. Just got Chris Stapleton's three albums and Greta Van Fleet. Awesome! Stapleton could sing the recipe to chocolate chip cookies and turn it into a hit song! Thanks to anyone that can help! I have to go to sleep now. Most Greatest Hits recordings, of any band, are pretty lackluster. I have the bottom version and have played it many times and love it! The Chris Stapleton and Greta Van Fleet CD's are all top notch. Interestingly, I have a very rare deluxe edition Chris Stapleton CD when he does in fact sing the recipe to chocolate chip cookies. Not a hit, but a darn fine song!!! PSOVLSK, I want that Chocolate Chip Cookie song! We'll talk later. CD and LP of bottom version that I have had for years. Played many times. Nice!!! There's a cassette here someplace with that bottom cover; I think that's the "real" one from back in the olden days... although "they" continue to muck about with the mixing and mastering, so who knows? I too have the bottom.....ummmm......last one with the.....swimmer on the cover. I can't comment on the sound quality as it has been about 30 years since I listened to it, but I remember if having maybe 10 recognizable hits from the late 70s and early 80s. That CD cover reminds me of a picture from the internet I found a few years ago and sent my friends. It had to girl swimming with her bottom sticking up out of the water with water shooting up and the caption said "Save The Whales". It was a funny picture but I know I'm better off describing the picture than posting it. Where's @Rick88 ? When I have time later today, I'll tell you a story about my local library's A/V department and their music CDs. It's in regards to the end of CDs; I was saddened. I've been very lucky to have a local library that adopted an A/V department back in the early 80's. I've been going there since I was 15. They had a big room in the basement that was nothing but music CDs and video tapes (back then). They've changed with the times and eventually did away with their video tape collection and switched to DVDs, and then eventually Blu-rays the last couple of years. Four years ago they slowed down on their music purchases because they started using a download service called Freegal. You were allowed to download 8 song per week and they were yours to keep forever. Unfortunately, they were 256/MP3s. But still a nice resource for discovering new music. Then about a year ago they stopped purchasing music and movies altogether. They switched to a different service, a streaming service called Hoopla Digital. Me no likey. They have a great selection of music to stream or download, but if you download music for a portable device, it only lasts two weeks and then becomes unplayable. I don't know about the quality, I've never tried it. They also have movies. The movie selection is extremely poor. I don't think they have any movies made in the last 5 years and the quality is equal to a standard DVD. The library always purchased movies and music monthly and always kept up with all the new movies and music. It has always been a big part of my life growing up. Back in the day, I rarely had to visit a movie rental store because the library always had what I wanted. You could keep a movie for one week, and music CDs for four weeks. You could get four movies at a time, and fifteen music CDs (now ten) at a time. If something you wanted was checked out, you could put ten items on hold, and when they got checked in, you'd receive an email letting you know your item was ready for pickup. I hadn't had a reason to visit the library for the past year. But a couple months ago I stopped in to look through their music CDs and upstairs where you enter sat about 20% of their music CD collection with a sign that said "For Sale .50 cents/CD". I was like, WTF? They said anything that hadn't been checked out in the last seven years is being sold off, but no one was buying them. Then a couple weeks later I showed up late on a Friday before closing and the lady in charge of the A/V department said ALL the CDs out front that were for sale are FREE. As many as you could take. Unfortunately I'm at the age where reading glasses are helpful for small print and I didn't have any with me. So I weaved through all the people, trying to read the edges of the CDs looking over people's shoulders, but could only make out the larger print. I picked out twenty. The next morning I returned WITH my "readers" and found out that the "free" special was only temporary, but now you could purchase a tote bag for $3 and can take as many as the tote bag would hold. Through my education in geometry and trying different stacking methods, I found that the maximum number of CDs that the tote would hold was 45. That's without having them come up over the top of the bag. I didn't want to be selfish. Okay, I wanted to be selfish, but refrained. So in total, 65 CDs for $3, counting the freebies. I've really enjoyed discovering new albums. I picked artist I had heard of, but albums that were new to me. I didn't look at the condition of the used CDs until I got home. Some were rough, and that's being generous. First, let me say that I've never in my history of being, scratched a disc before. A disc is either in the player or the case. No exceptions. But back in the 90's I used to go pawn shopping with a buddy and bought large amount of music CDs. Because of that, I had experimented with different types of polishing agents. By the way, pawn shops no longer buy music CDs because they have too much trouble reselling them. At least the shops around here. No one buys them. We also used to have a number of used CDs shops. Those were awesome because everything was alphabetized, but the prices were higher than pawn shops. All out of business now. Back to polishing... I've tried a single application polymer for CDs that I found to be not effective and expensive. I had also tried a three step, three bottle process that worked excellent and I always suspected was the same 3 step process/products that I used on my car paint. Well, I got ballsy one day and tried Meguiar's #2 Fine-Cut Cleaner. It's basically an extremely mild abrasive for rubbing out mild scratches and scuffs. One large bottle cost less the the three tiny bottles for CD polishing stuff. You have to rub from the center of the CD straight out and back. No circular motions and don't polish "around" the disc, but perpendicular to the direction that the laser reads. It works amazingly well for CDs and I don't find that I have to use the polish or wax afterwards. Light pressure, and avoid heated friction. I know a lot of you guys are probably giving my that stern look as if I mentioned the words "Monster" or " clear coat", but I've had great success with this. I've performed miracles. Out of the 65 library CDs, I got accurate rips on all of them. EAC, Flac, Secure Mode with the verifying thingy at the end. The last two seconds of the last song sometimes comes up as inaccurate, which is a common problem with EAC, from what I've read. Something like different CD Roms read the closing session differently, that might not be exactly right, but it's something like that. Anyways, I got off topic a bit. So I've been going back to the library often to check out more CDs. I've really enjoyed discovery new music. I've been trying to get out of my comfort zone and try new genres. They have a bunch of different categories at the library. Pop/Rock, Country, Classical, Jazz, R&B, Soul, New Age, Soundtracks, Folk, Holiday, Rap, World, Christian. The only thing I know about Classical is from Bugs Bunny Cartoons and 2001 A Space Odyssey. And my only experience with Jazz is from the 60's and 70's Peanuts TV specials. But I'm trying it out. With each visit I get 10 CDs, out of those I usually get two real gems and eight crappy ones. Still it's been fun. And every trip I've made, I was the only one looking through their CDs. The only exception was the day the CDs out front were free. Sad. They said people rarely check out CDs anymore. They also have a lot of greatest hits albums and I agree with you. The one exception that I checked out was Enya's Greatest Hits. It sounds incredible with some surprisingly low bass. Not really my jam, but definitely an album to test out a system. I'd say if you looked over their entire music CD purchase history from the beginning, about 60-70% of the CDs have been lost, stolen or discarded due to damage. I find that unacceptable. So back to my point, over the last few weeks while I was in there looking for more CDs to check out, two different employees told me to check out the music CDs while I can, because within a year they will all be gone. They said they will not be making any more movie or music purchases and that everything will be through their streaming service. Everything is being sold off in waves. Why? To make room for more books? Who has time to read books except old people? If I want to read a book, I wait for a movie to be made out of it. It's an end of an era for me. 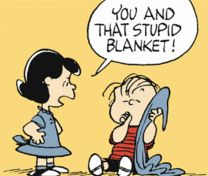 Putting an end to the library's A/V department is the equivalent to taking my "blanky" away when I was a kid. I admit I probably looked the fool bringing a blanket to my college classes. But I disguised it as a cape. I don't think anyone was the wiser. Most books have a lot more story filler than movies portray. I bought about a 300 CD collection a time or two. And with my fatigue, I trudged through them one by one. 600+ CDs, mostly mint were groups I hadn't hear of or just barely and a few ( very few) were old good one! I researched my last purchase from a year ago or more and there are some expensive CDs in there. I listened to one CD going on my 2 1/2 one way road trip that I read was very good. It was, AIR," moon walking" or something. It was AWESOME. I listened to it 3 times probably. So relaxing but energetic at times too. Congrats on getting great deals on a format you and I haven't let go of yet. An hour or so later, the title came to my mind but I've been so foggy, I meant to come on and find my post and say what you just did. But it slipped my mind. Even after I listened to it again going and coming from fixing my friends receiver problem this morning. Thank you for correcting it.! I really like it! Everybody, check the sound out from this one song that's first on the album. I bet it would sound awesome on my SRS2's! Get the bottom version. I have the CD and the pre-recorded MiniDisc of this album and it is excellent from beginning to end. There's a reason to why it is LRB's biggest seller in the US to date. If I remember correctly, the bottom version came out in the mid 80s (I remember having the cassette version from the RCA/BMG Music Club) when the band was in its decline. Most of members in the classic lineup left at that time as well. 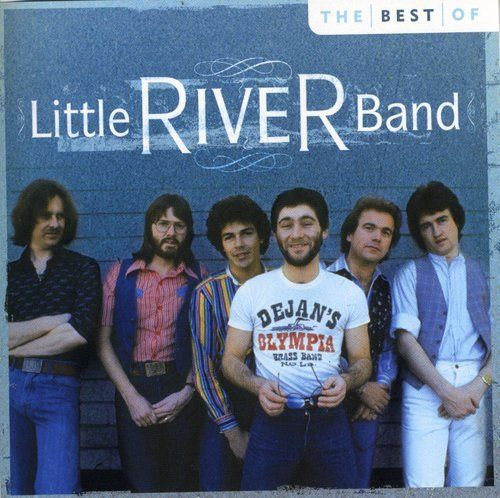 The name "Little River Band" today belongs to one of the later replacement member. Don't forget John Lennon said "Reminiscing" was one of his favorite pop songs, and that George Martin (The Beatles' producer) produced many of the hits on that greatest hits album. 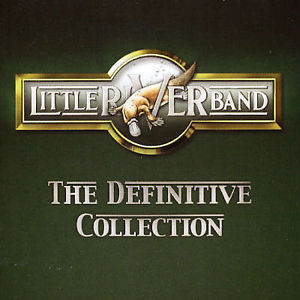 "The Definitive Collection" has songs from the post "Greatest Hits" years, but nothing quite many those "hits" years. I know I LOVE the melodies, voicing and orchestrations of the songs on that disc. 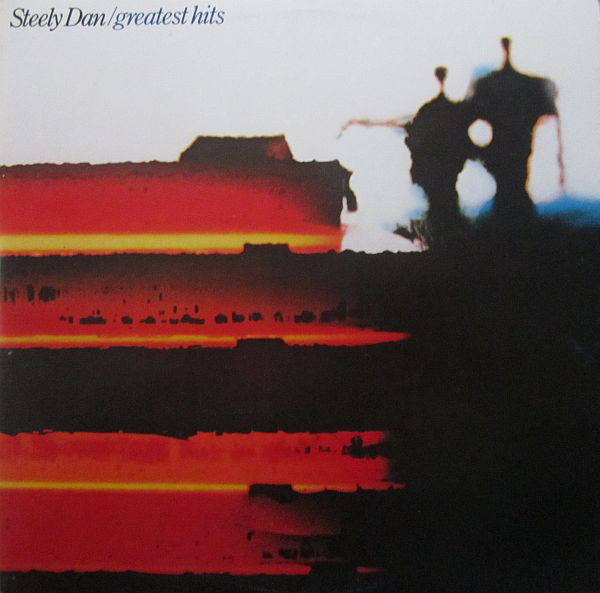 I think it equals Steely Dan's greatest hits (GOLD?) CD also. Then there's Styx Greatest hits CD too. All winners in my opinion. I have "All time greatest hits" but nothing to compare it to. It's a good version. 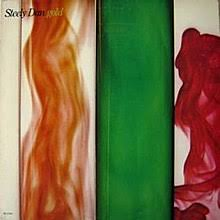 FWIW, I found that Steely Dan "Gold" album to be kind of -- odd. 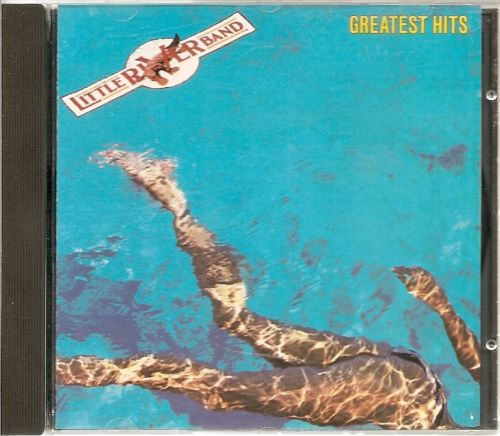 The earlier, two LP "Greatest Hits" album, I'd opine (and FWIW, and not that it has anything to do with this thread!) considerably better, and sounds pretty good, too. 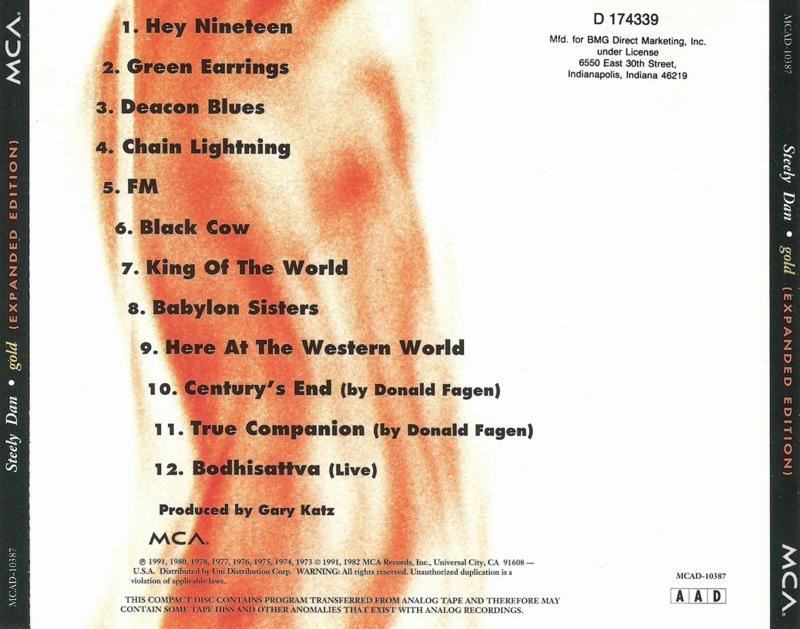 This album had a "previously unreleased" track as well, Here at the Western World, FWIW. Derp. 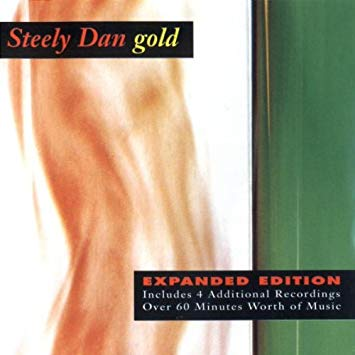 OK, now I see there's an expanded edition of Gold. I think I have the original "GOLD" version. I've done a lot of car and truck washings and waxing's to that. Bose 151 speakers were and still are my "Outdoor" speakers. I've read comments here in the past that said remastered version sometimes aren't better than the original. What say you? 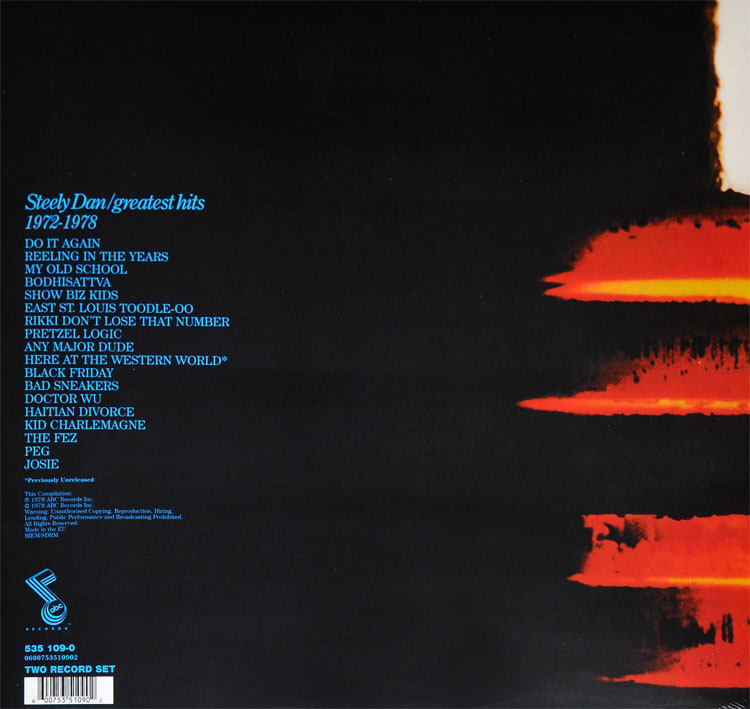 The double cd Steely Dan "Show Biz Kids" is pretty good, soundwise. Better than "Gold" and "Greatest Hits", IMHO. Does anyone have Eddie Rabbitt: Number One Hits on Cd? I know a lot of greatest hits albums have poor sound quality, anyone have any input on this one? What about Huey Lewis & The News: Soulsville? Thanks! I should have named this thread "Best Album Versions & Albums To Avoid"
Forgot one. Anyone have The Jompson Brothers?